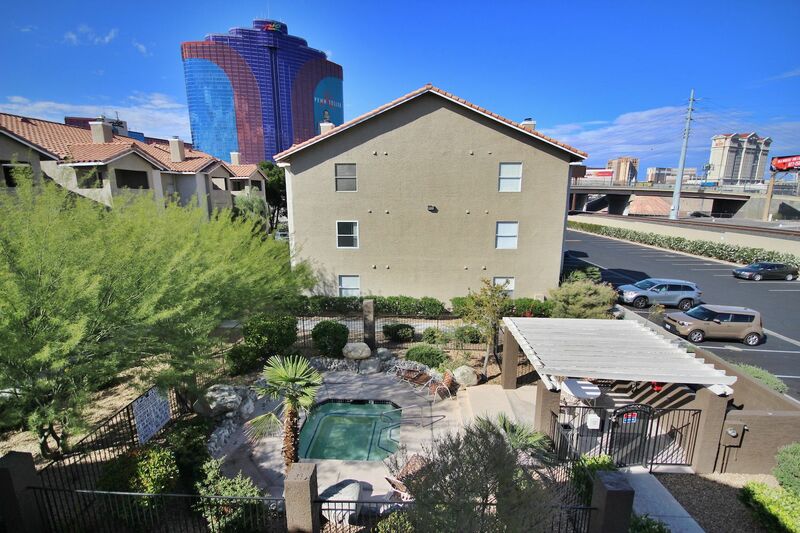 This gorgeous top floor fully furnished condo has a direct view of the Las Vegas Strip from the private balcony and master bedroom window. 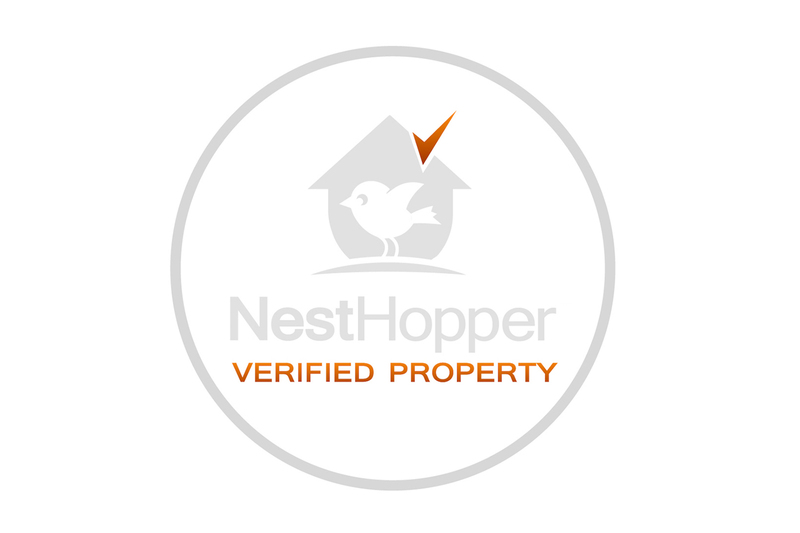 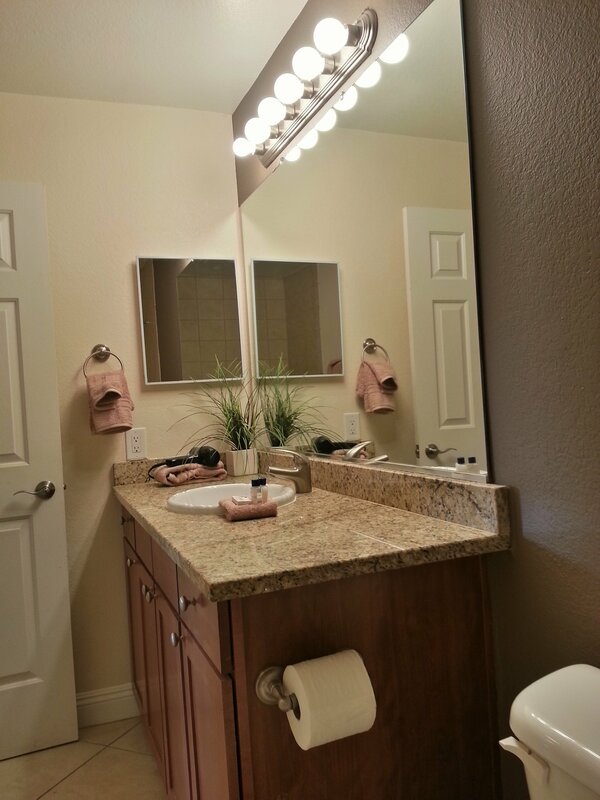 Located in the beautiful Flamingo Palms Villas Community. 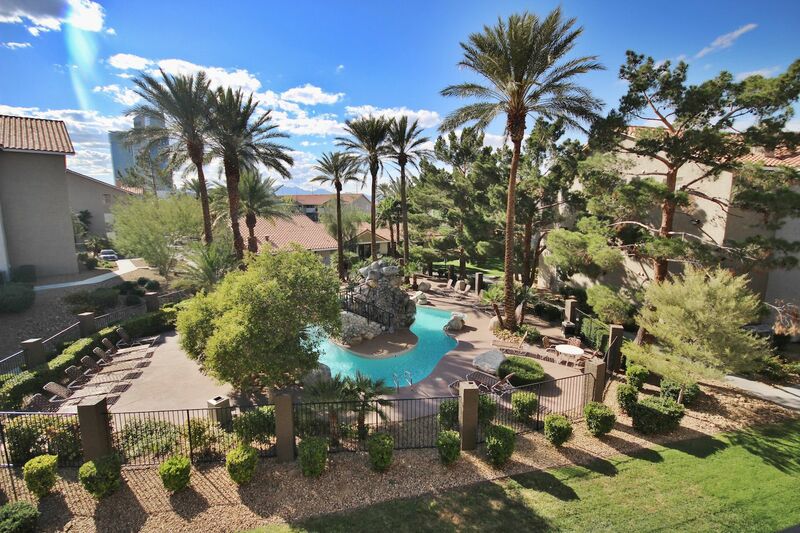 This community hosts residents with 2 pools, Jacuzzi and free parking. 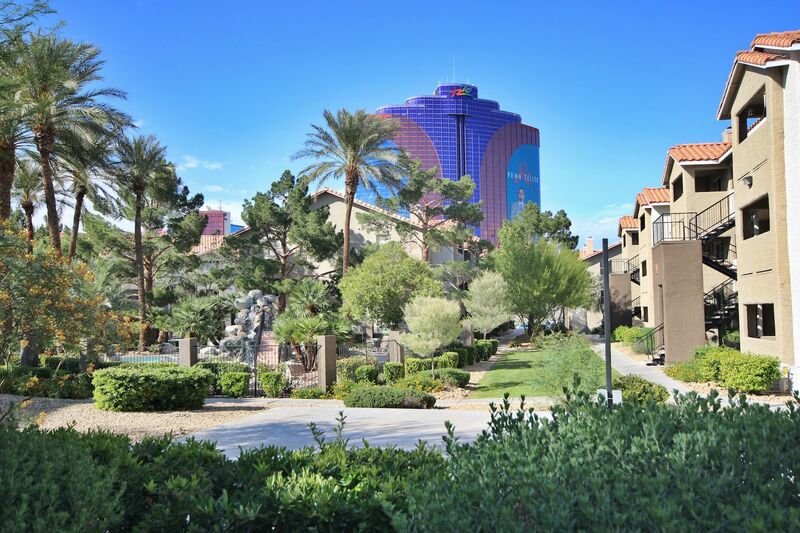 All within a 24-hour gated entry. 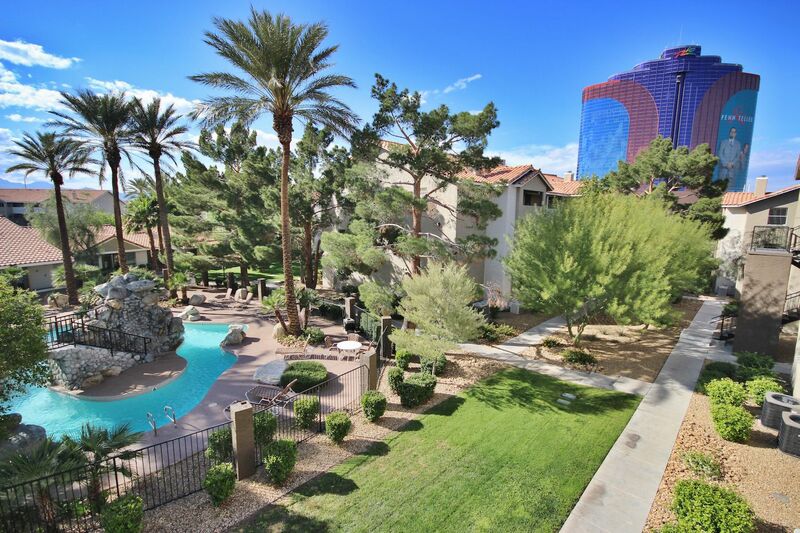 Pinpointed near the Las Vegas Strip, the community is walking distance from the Palms Resort and the Rio is up the street. 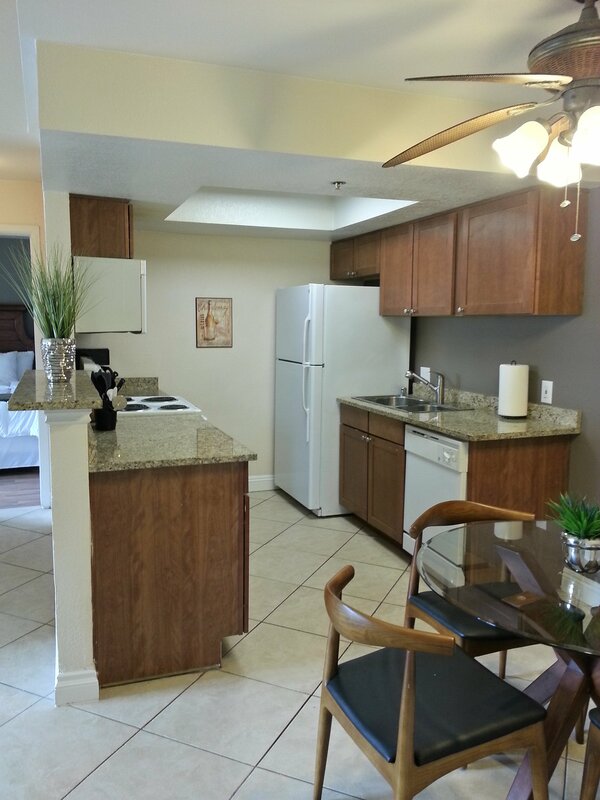 With easy access to the I-15 freeway maneuvering around the city is a breeze. 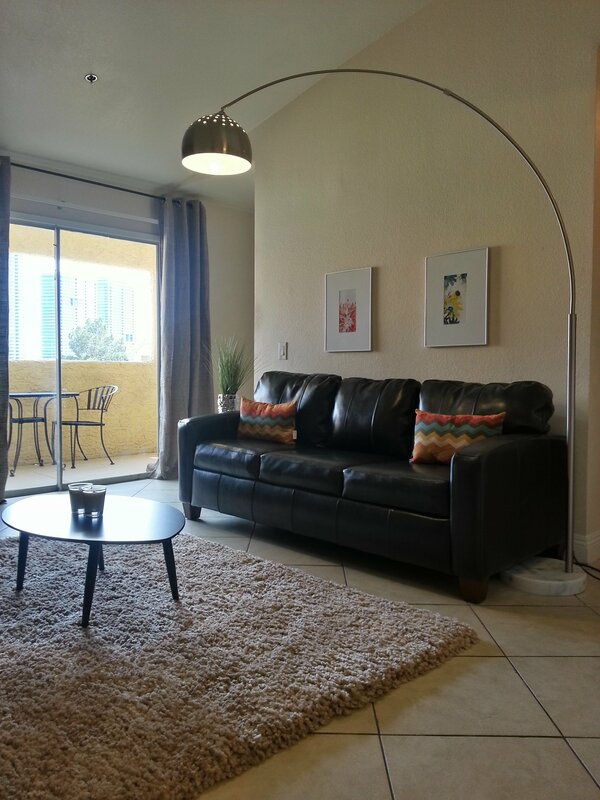 This modern style 2-bed/2-bath condo is definitely designed to impress! 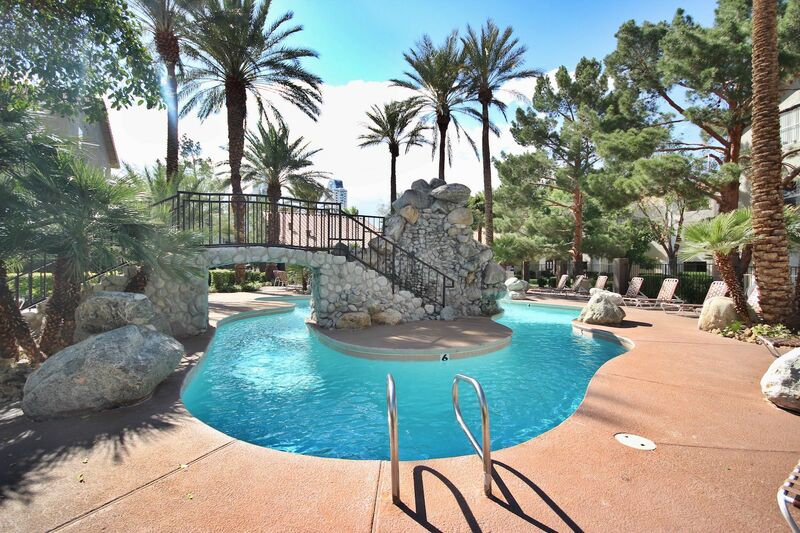 Beautifully decorated, this condo outshines any fully furnished apartments in Las Vegas. 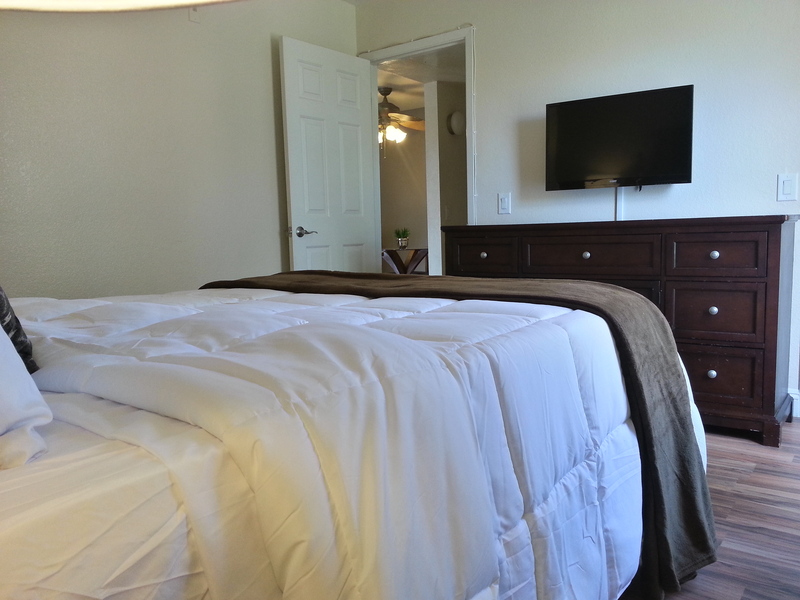 The interior is newly renovated with tile flooring, hardwood in the bedrooms, and granite counter tops. 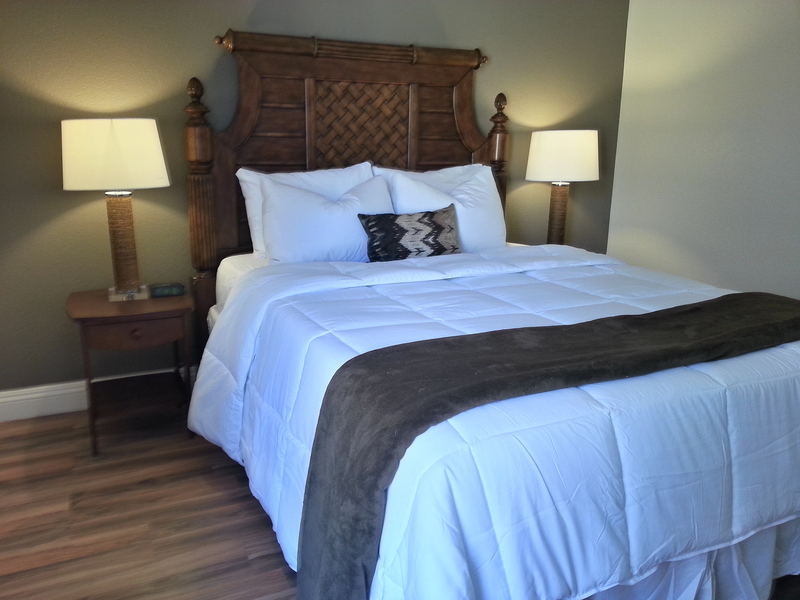 With a king size bed in the master and a queen size in the other bedroom, this condo is sure to please. 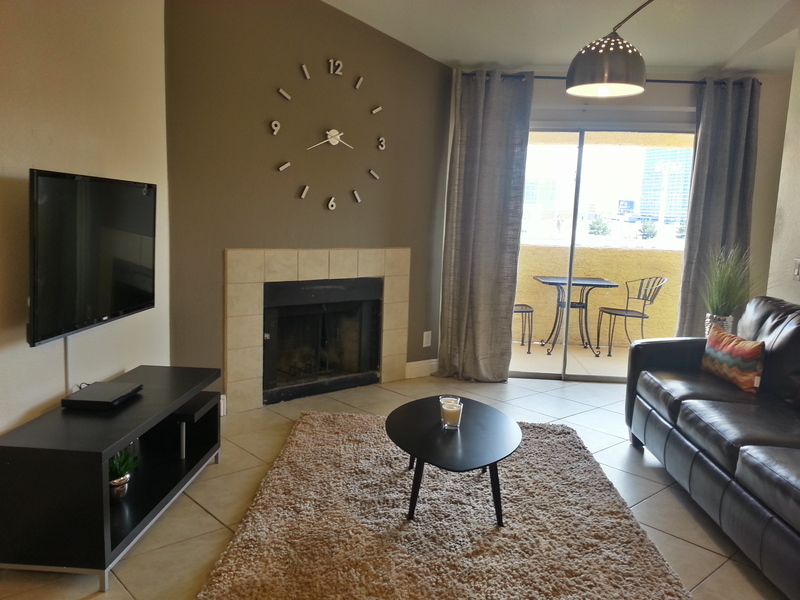 The living room also includes a flat screen TV and a fireplace! 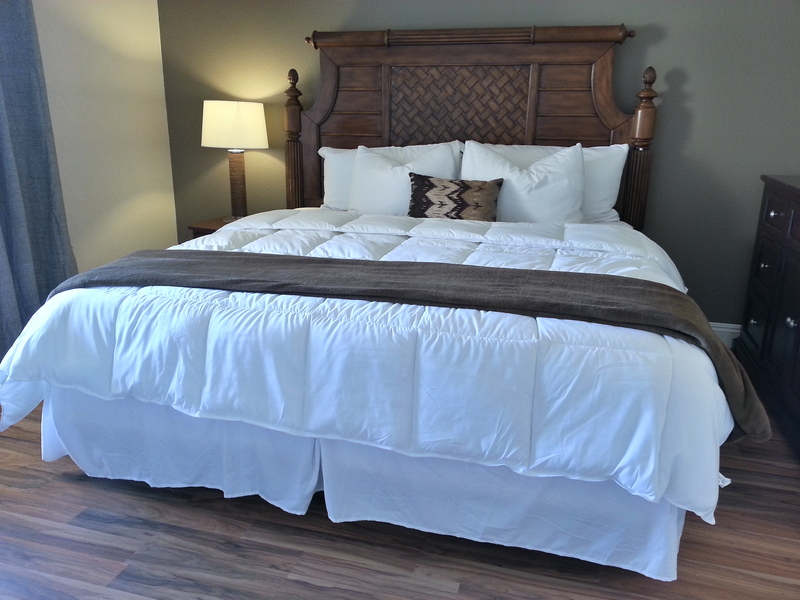 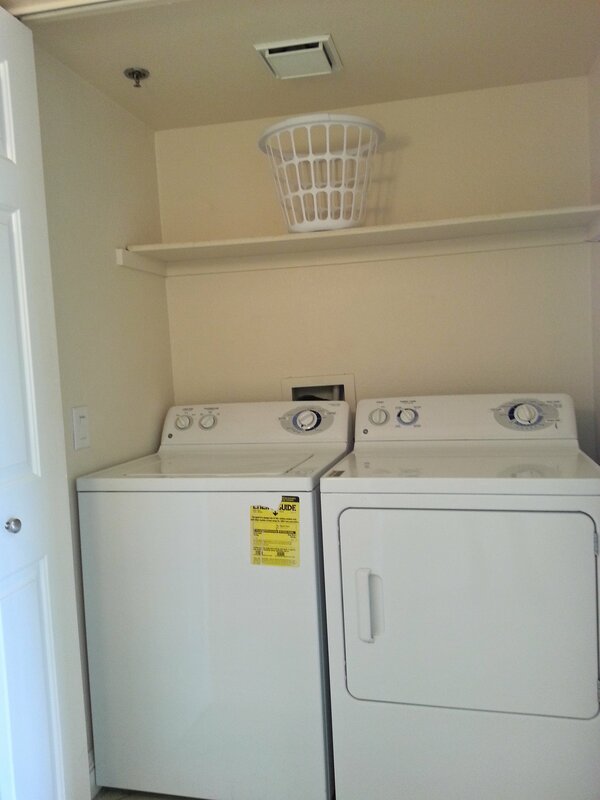 Fully furnished including all your basic housewares, kitchenware, towels, and linens. 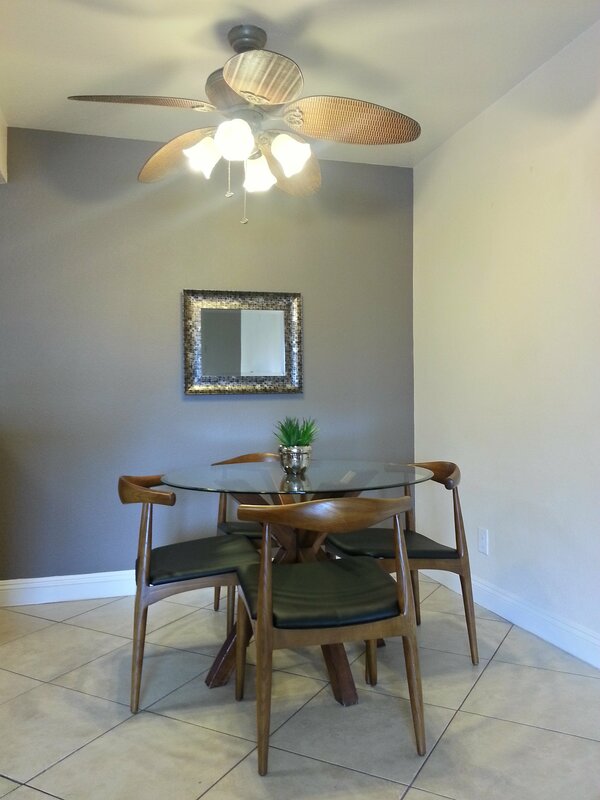 This stunning condo is set up for maximum comfort to relax and enjoy the space. 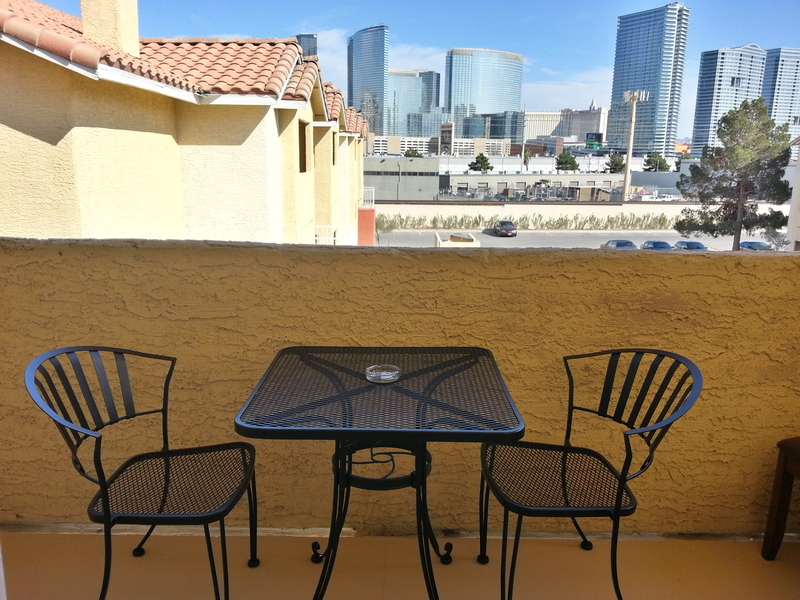 Staying in fully furnished apartments in Las Vegas is no compare to our beautiful furnished condominiums. 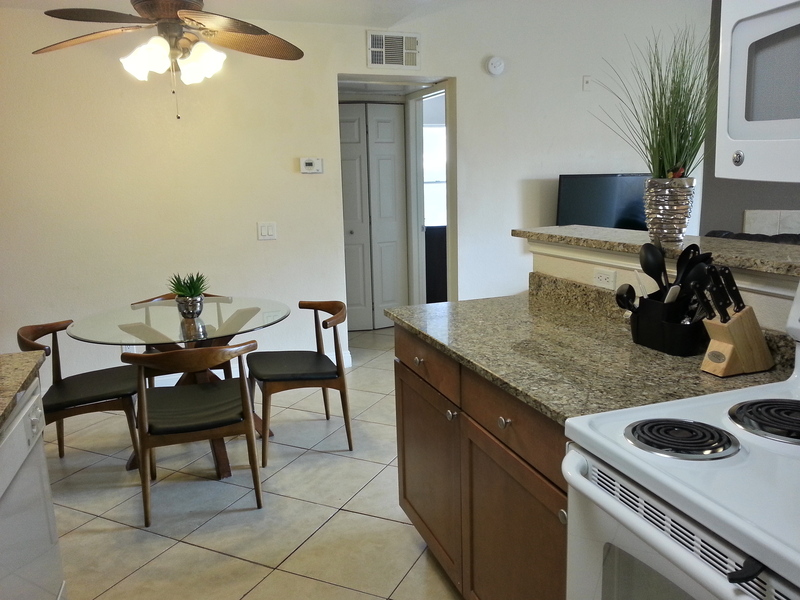 Top Floor Unit, Strip Views, Includes Cable TV and WIFI.